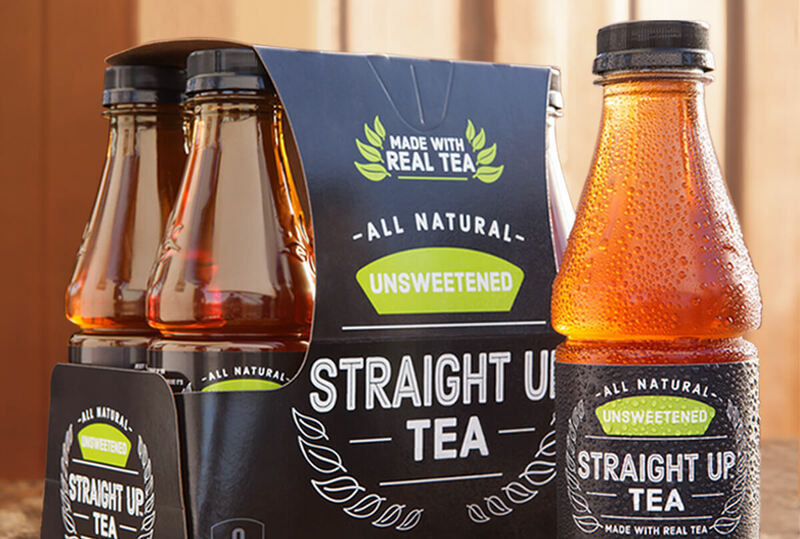 All natural means no artificial sweeteners, no artificial ingredients – ever. Plus, we never add color because we think we’re beautiful just the way we are. 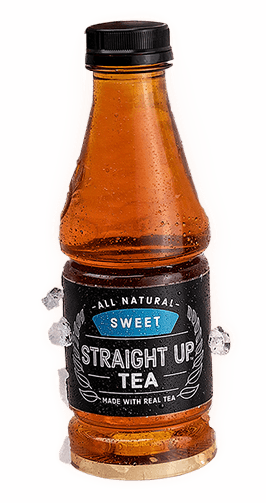 Available in three refreshing iced tea varieties – Sweet, Sorta Sweet, and Unsweetened – because who doesn’t love options? Like your iced tea sweet? 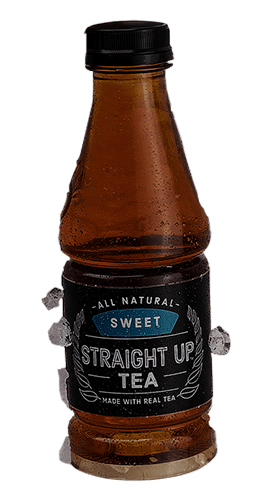 Well, here is your sweet tea – with no artificial sweeteners and no artificial ingredients. Just real black tea and all-natural sugar. No fake nonsense here. *Caffeine is naturally occurring and actual amounts may vary. 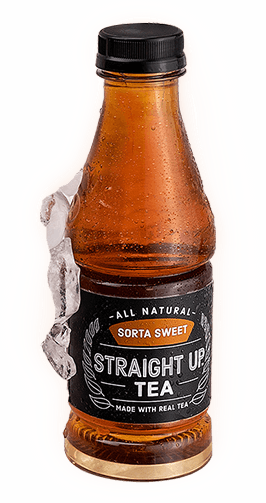 The sweetest thing about our unsweetened tea is how simple it is: Just water and all-natural tea. None of those artificial sweeteners or artificial ingredients. Welcome to the best of both tea worlds. Sorta sweet. Sorta not. And 100% all natural. No artificial sweeteners, no artificial ingredients. We could’ve just called it “Sorta Not,” but that might’ve been confusing. 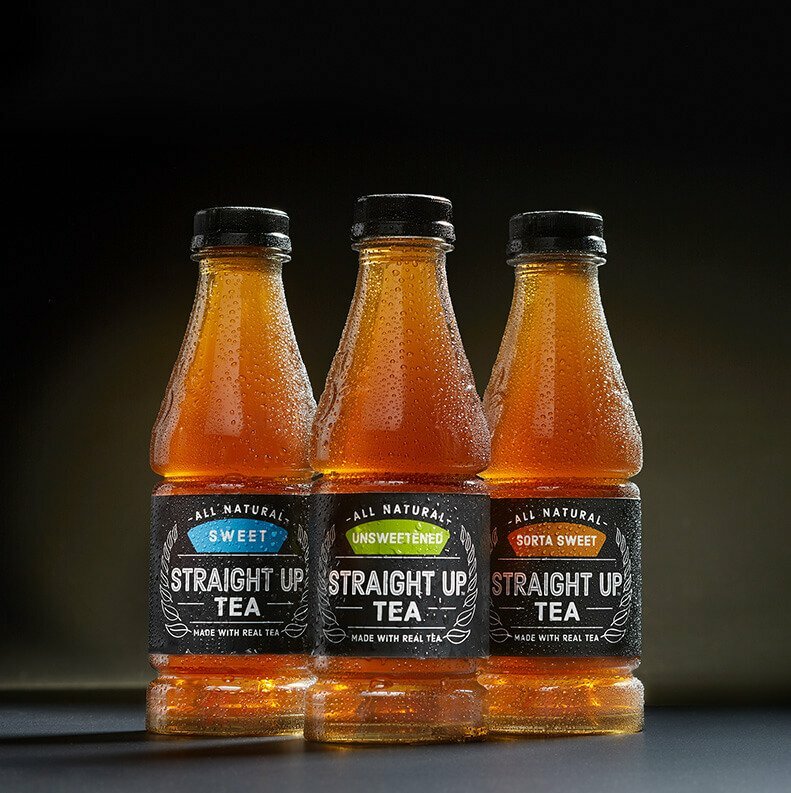 Straight up tea uses only all natural ingredients. 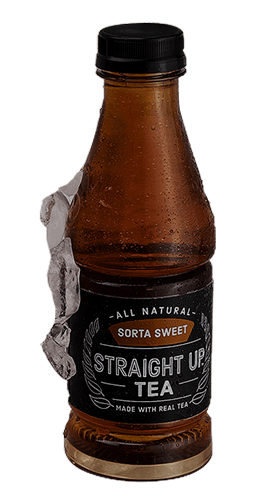 With a name like Straight Up Tea, it’s our job to give it to you straight, so here is the complete list of the ingredients we use: Water. Sugar. Tea. Citric acid. Natural flavors. That’s all. 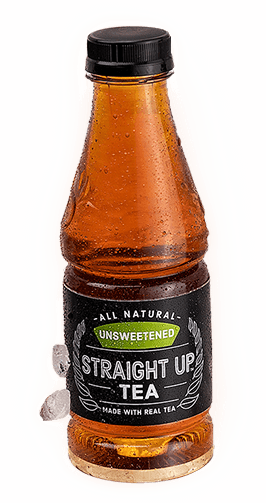 No artificial sweeteners, no artificial ingredients. So what exactly is citric acid? It’s a natural food ingredient derived from starch and found in citrus fruits such as oranges and lemons, and it’s used to add a tart taste to our iced tea. And how about “natural flavors”? Those are naturally occurring flavors from things like spices, fruits, vegetables, and herbs that make the taste of our tea even better. 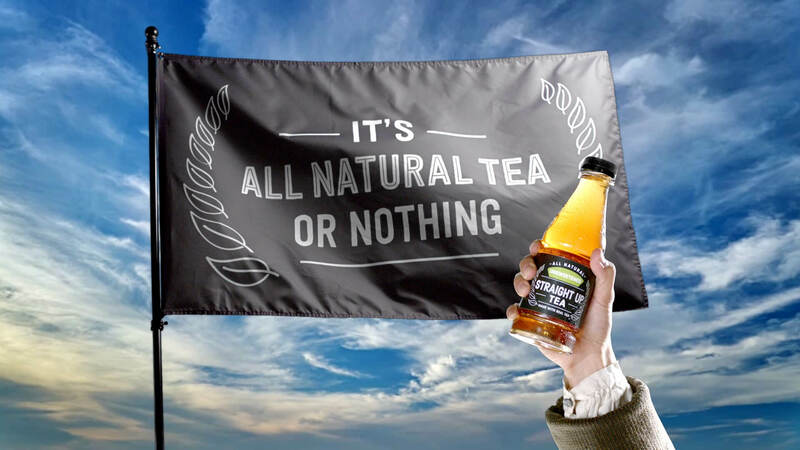 Bottom line: If it’s not all all-natural, it’s not in the bottle. Thanks for reading. We all know the Boston Tea Party protested taxation without representation. But what about tea with artificial flavorization? 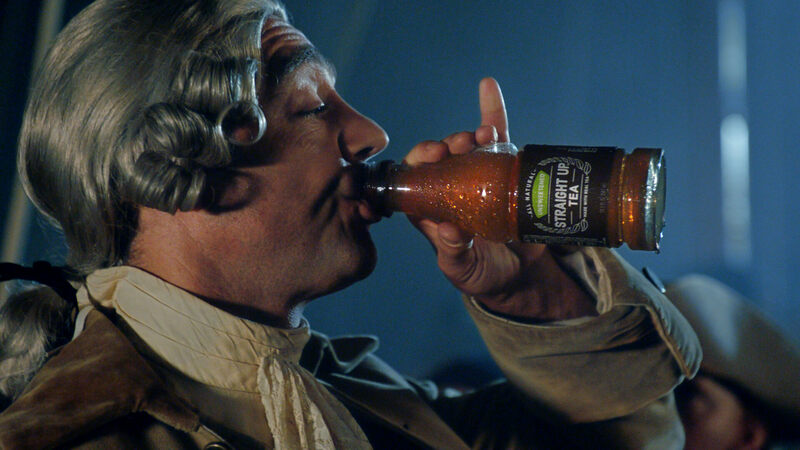 In this slightly revisionist TV commercial about that epic day in 1773, we learn that if tea had any added color or artificial ingredients, it went overboard. 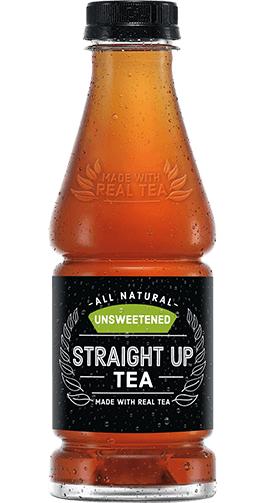 If it’s not All Natural Straight Up Tea? Throw it in the harbor! 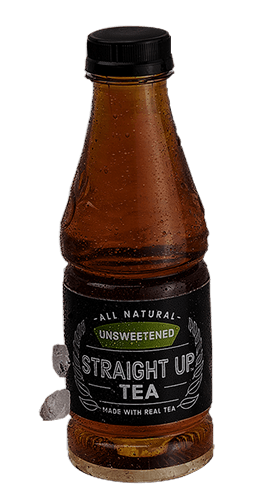 Straight Up is a trademark of Snapple Beverage Corp. ©2019 Snapple Beverage Corp.